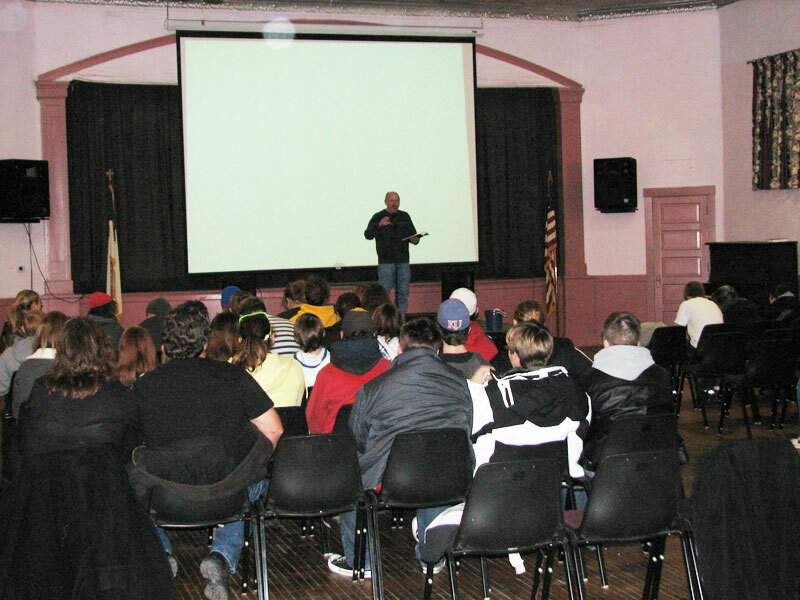 Hiram Hall is the ideal place to hold large meetings, conferences or simulcasts, receptions, even concerts. Our auditorium can seat 150 guests and has a full stage, sound & lighting system, spot lights, projector and more. 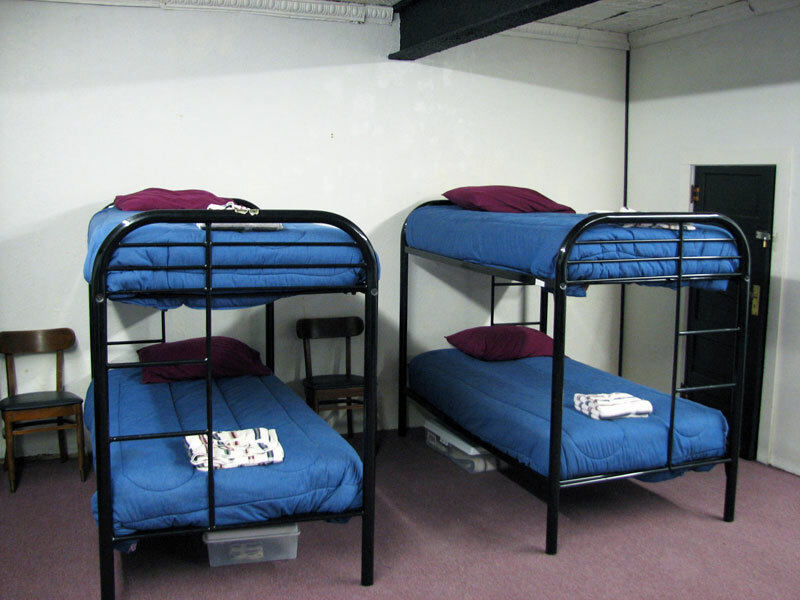 The basement of the hall has a large meeting and game area for casual groups, an eighteen-bed dormitory, bathrooms with showers, and kitchen. Our concession room is equipped with a popcorn machine and plenty of snacks. WiFi is available throughout the building. 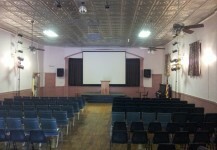 Hold your next large conference or presentation in our auditorium. 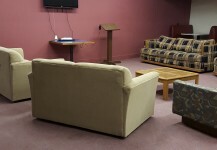 We have an ample stage and all the equipment you need. 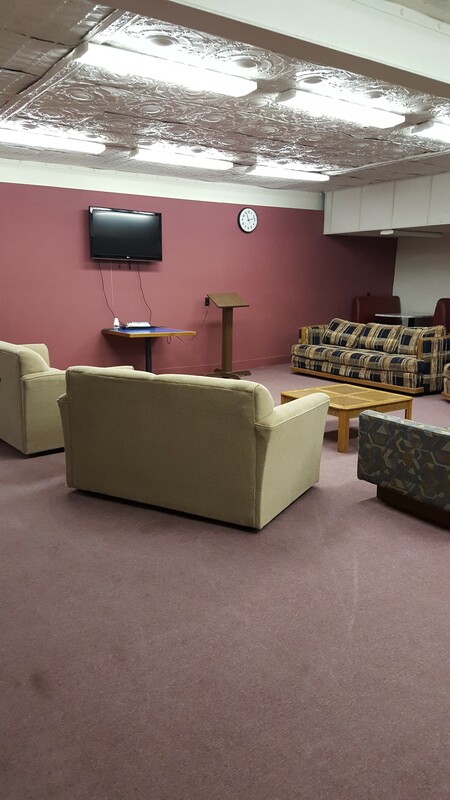 You can sit and have a Bible Study downstairs or enjoy some ping pong, air hockey, and other games. 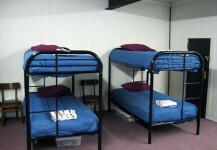 Bunk-down in our 18-bed dormitory.